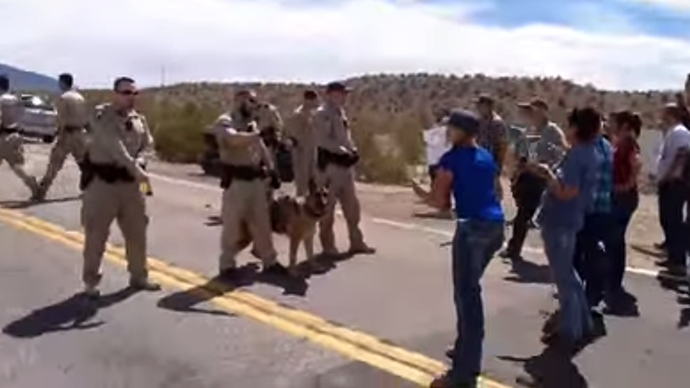 The tense stand-off between hundreds of protesters and police has ended in the Nevada desert, forcing the authorities to cancel the round-up of 300 animals and to return the cattle to their owner. The standoff between rancher Cliven Bundy and the US Bureau of Land Management has lasted over a week, after hundreds of armed agents with the United States Bureau of Land Management and the FBI turned up in the Clark County to execute the court-ordered confiscation of nearly 1,000 cattle. The US government says the animals have trespassed on federal property. 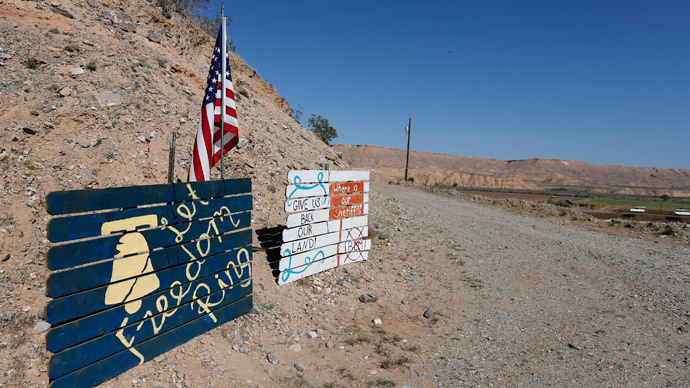 This provoked a fierce backlash from anti-government groups, right-wing politicians and gun-rights activists, who gathered near 67-year-old Cliven Bundy’s farmhouse to support him in the standoff against the government. At the height of the protests, there were about 1,000 protesters outside the rancher’s home. Among them were militia members from California, Idaho and other US states, camouflaged, with rifles and side arms. "If we don't show up everywhere, there is no reason to show up anywhere," one of the camouflaged men said, holding an AR-15 rifle. "I'm ready to pull the trigger if fired upon," Scott said. In an interview before the bureau's announcement, Bundy stated that he was impressed by the level of support he had received. Local cowboys even attempted to retrieve some of his cattle, after the government’s agents wrangled one-third of his cattle Monday. The government declared they had decided to free the cattle. The crowd and the rancher’s family met the news with applause and relief. 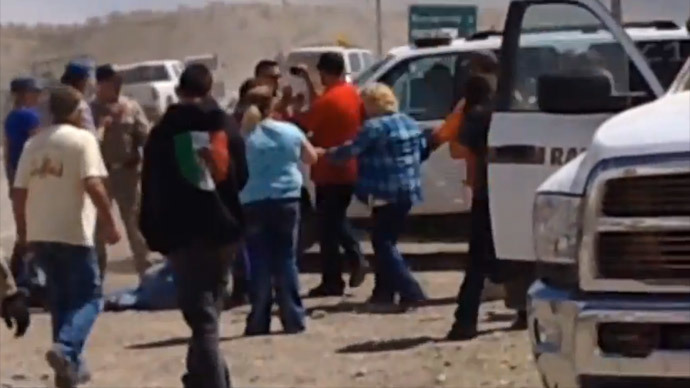 "This is what I prayed for," Margaret Houston, one of Bundy's sisters, told Reuters on Saturday. "We are so proud of the American people for being here with us and standing with us." The dispute between Bundy and federal authorities actually began in 1993 when he stopped paying monthly fees of about $1.35 per cow-calf pair to graze public lands. Plus, the government argues that Bundy has ignored cancelation of his grazing leases and defied federal court orders to remove his cattle. The authorities said that Bundy still owes taxpayers more than $1 million, and that the government would work to resolve the matter administratively, through the court system. Several US senators and the state of Nevada this week criticized what has been called the result of an “overreaching” agency acting overzealously, especially after a no-fly zone was enacted for a 3-square-mile area around Bundy's ranch.